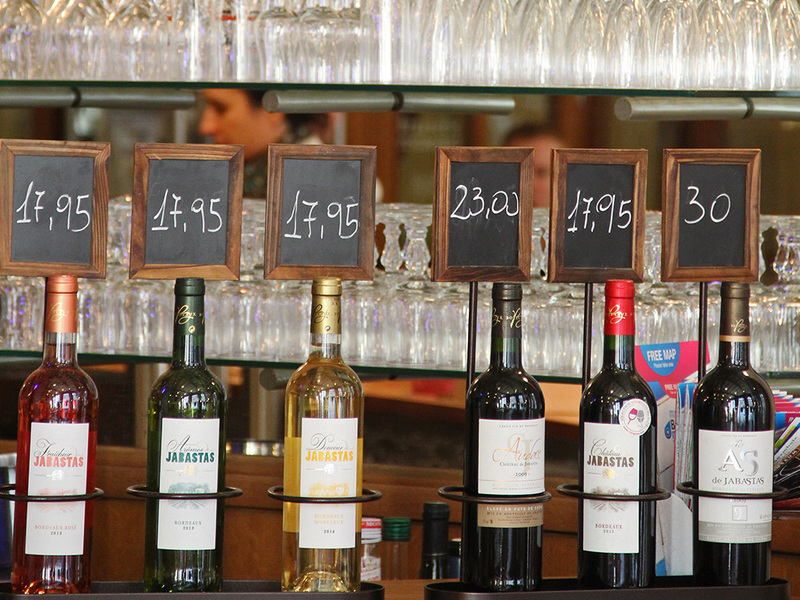 Brasserie Horta has an eye for good style! See for yourself! 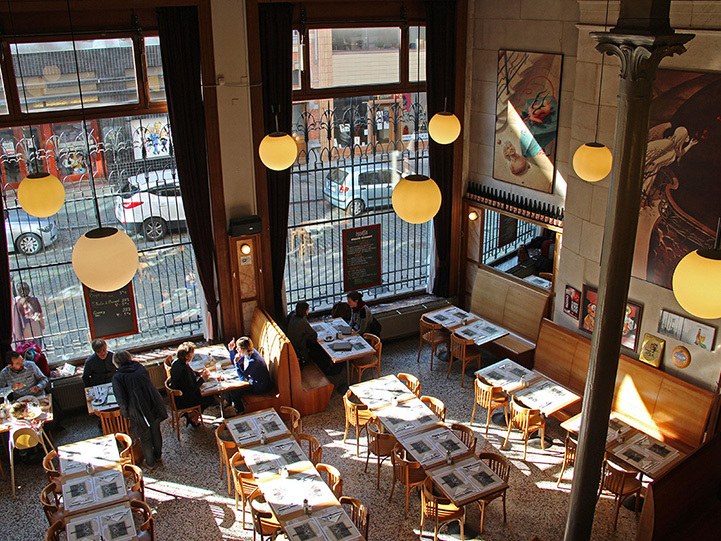 Its décor was created in 1906 by Victor Horta, in a building nestled next door to the Belgian Centre of Comic Strip Art. A feast for the eyes that quite naturally leads to a feast on the plate! 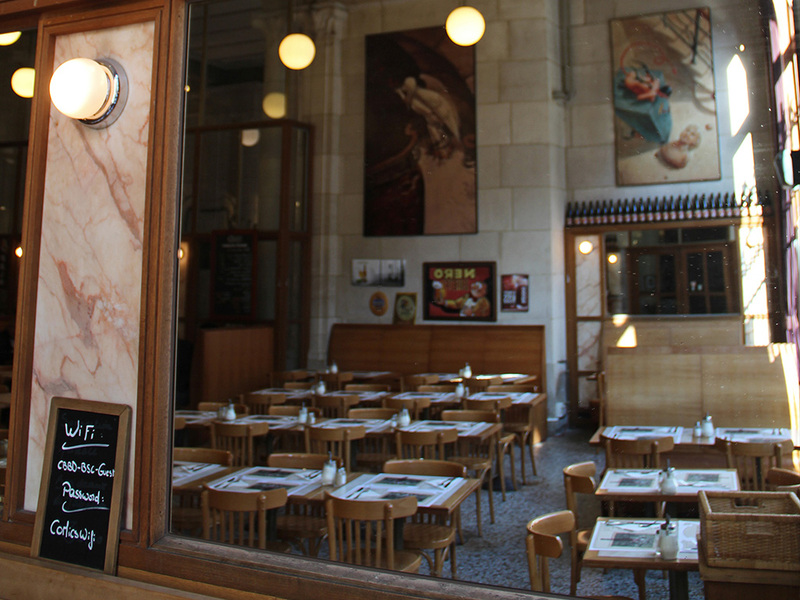 Perfect after a visit to the museum, or just for leisure, Brasserie Horta and its typical Brussels atmosphere are a regular stop for gourmets in search of a feast for the eyes and palate. Victor Horta’s architecture at the brasserie provides a rare opportunity to see the Art Nouveau style in Brussels. The sinuous lines and generous curves that characterize the style give to the spot a unique elegance. What better place for Art Nouveau and comics fans to sit back and relax? After taking in the surroundings, diving into the Brasserie Horta menu is another delight. 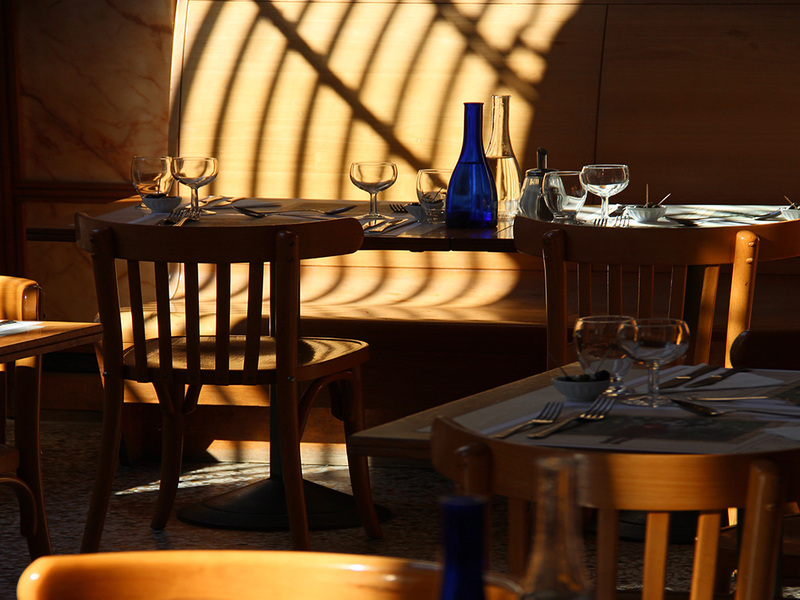 Focusing on Belgian style cuisine and other delicacies, the menu changes with the seasons and the chef’s inspirations. For 30 euros, you can choose from a suggested menu that changes monthly, or perhaps allow yourself to be tempted by the lunch, which includes a starter, a main course and a dessert for the price of €14.50. 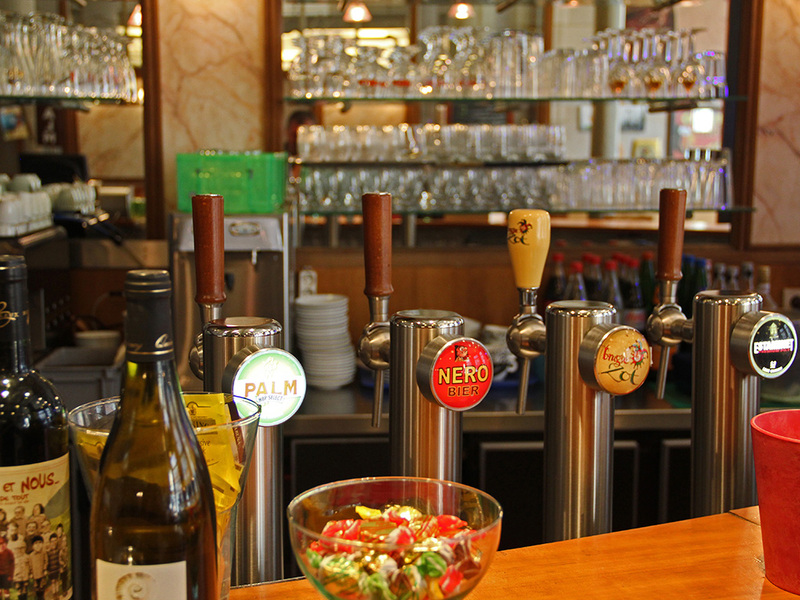 Whether it is for a full meal or a quick snack, Brasserie Horta has what you need. Do you want to celebrate a special occasion in this exceptional venue? 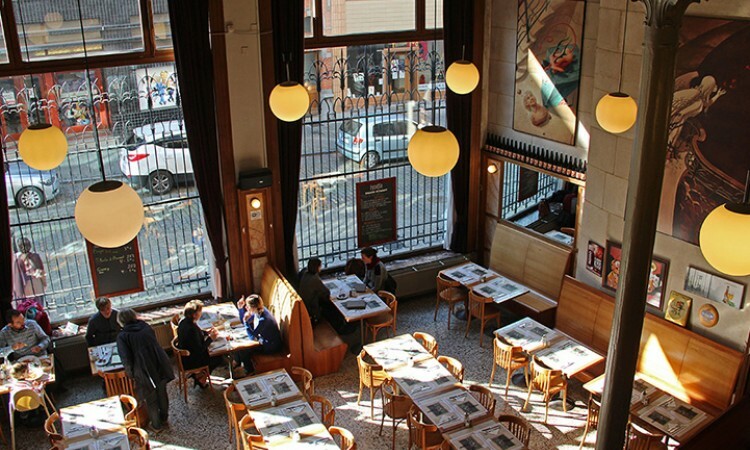 Brasserie Horta and the Belgian Centre for Comic Strip Art are both available for private events on weekday evenings and weekends for all types of banquets and parties. With a capacity of up to 1200 standing or 400 seated, or even for a dance, Brasserie Horta is the ideal place to host your event. Please contact the venue to find out more.